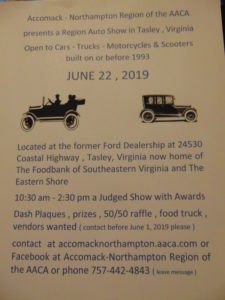 This years show will be on June 22 , 2019 at Tasley, Virginia . The location was a Ford Dealership and now houses The Foodbank of Southeastern Virginia and the Eastern Shore which helps the area both with families in need and the local school system here on the shore. Our Region held a fund raiser there in November and local director Charmin Horton gave the region permission to hold our auto show for 2019. The club will help out their cause again with a donation from this event and back in Nov. for more fund raising for Thanksgiving time. 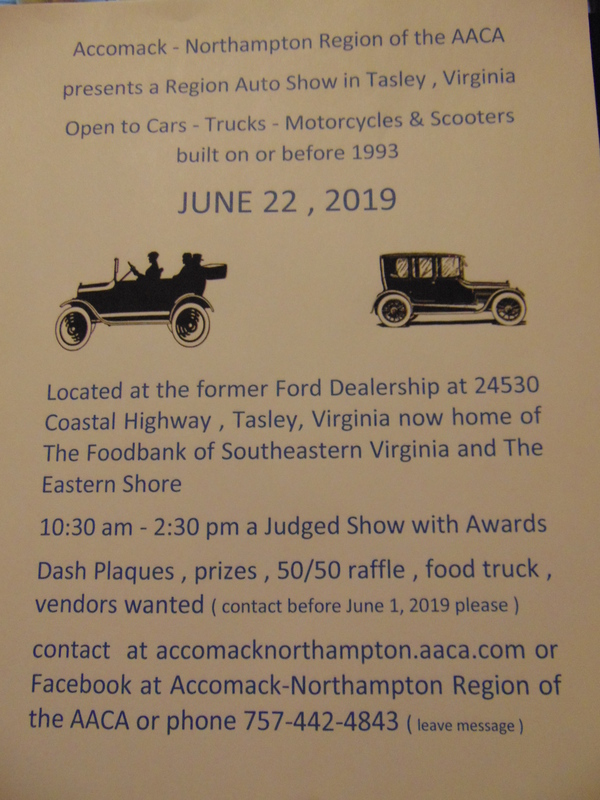 Hope you find interest in our auto show and the Accomack and Northampton area this summer for one of your car show plans for 2019 .